We regularly get questions about the relationship between current and past curriculums and guidance provided to maintained schools in England. 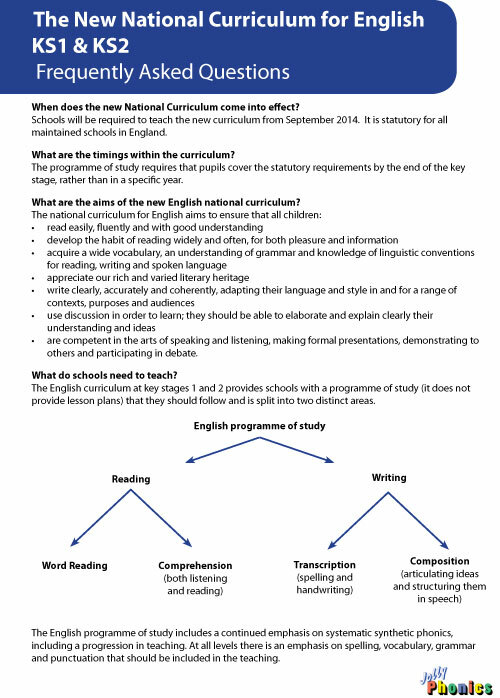 This short document answers a few of the most frequently asked questions about the National Curriculum for English, giving a quick overview of the key points. 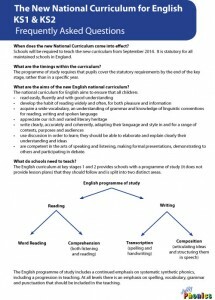 This document gives an overview of how Letters and Sounds links with the National Curriculum for English. A quick look at how Jolly Phonics and Letters and Sounds match together.